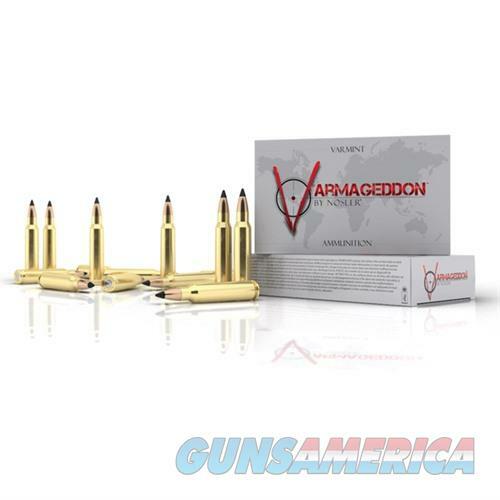 Description: Nosler's Varmageddon? line of loaded ammunition and component bullets. Featuring a highly accurate polymer tip or hollow point combined with a flat base design, Varmageddon? products were created for the high-volume varmint shooter who requires the utmost precision. Loaded with Nosler? brass, Varmageddon? ammunition provides the highest levels of performance for any varmint hunter.